Beau was ranked #2 in UKC conformation for Louisiana Catahoula Leopard Dogs in 2006 and #4 for 2007. I’m very happy with how Beau did in the ring and what he’s accomplished. Dark blue leopard, dark tan trim, Irish spotted, red factored, natural bobtail. Eyes: Right–blue with brown crack, Left–blue. Beau passed on October 2, 2012 due to complications from a blastomycosis infection. His presence will be missed. Beau is an even-tempered dog who is excellent with his people. He’s very focused when treeing game and has high prey drive. My dad used him as population control on ground hogs when Beau was a young dog, so he still loves catching them. Beau is very intelligent and has a lot of handle. He is best at working close-range due to his size. He has a distinctive loud, deep, choppy mouth that can be heard at a distance. When paired with Ranger, Beau fills out my treeing team. He is very good at catching and dispatching raccoons without putting holes in the hide. He has good instinct for tracking downed game. 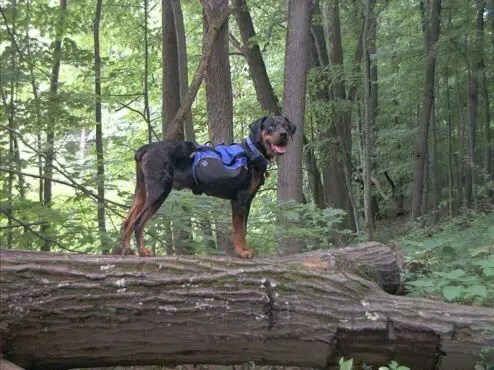 Beau’s favorite activity is backpacking. He and I have been out for days on end and he is great at reading terrain and threats while we are out alone. He is an excellent guard dog. He has a gentle temperament and is great with children. 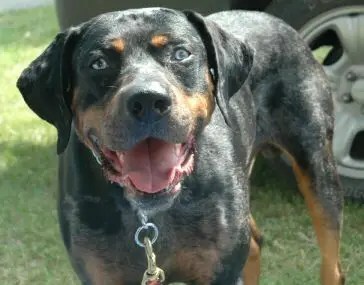 Beau was the first bobtail Catahoula to earn a UKC Champion title. 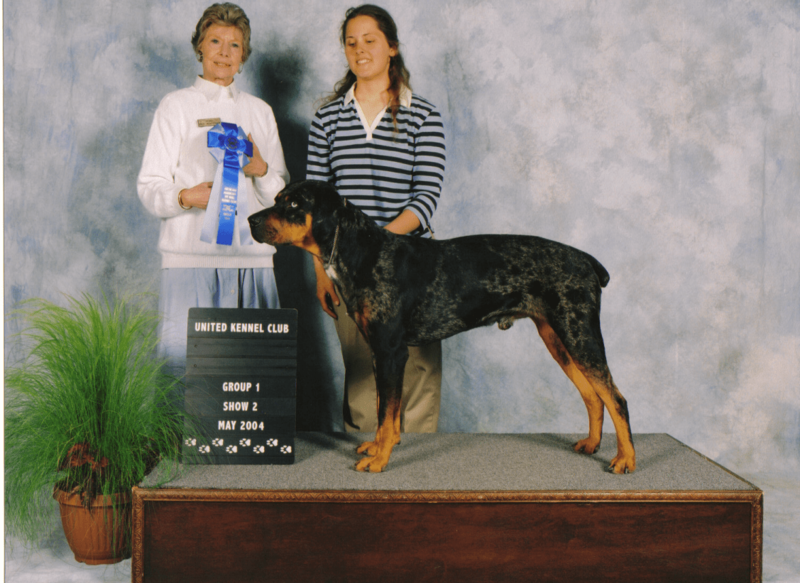 He later became the first bobtail Catahoula to earn a UKC Grand Champion title. Beau has 5 points and one first place in NALC Treeing. He has completed all the requirements for Level I obedience in NALC. Cats Cradle’s Beaufort (left) and J Cross’ Currahee (right) at the practice tree.